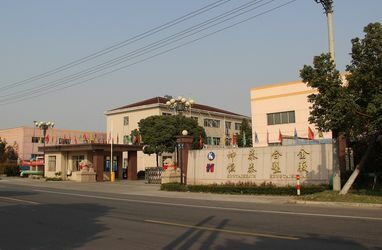 Hentec Industry Co.,Ltd Founded in 2003 and with facilities spanning 100 000m2 , Our company specializes in producing building and industrial aluminum profiles . 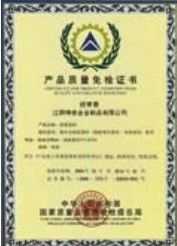 We are an ISO9001:2000 and ISO14000 Certified enterprise . 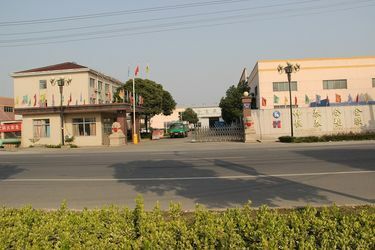 Our efficient production process and thorough after-sales service make our product popular not only in China , but in the UK, Germany , South Africa and the U.S . In our casting workshop, we have 12 aluminum melting furnaces with PLC control systems ,where we produce our quality aluminum profiles . 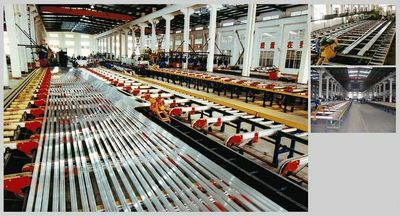 Twenty-five aluminum profile extrusion production lines controlled by PLC control systems , allow us to make around 80 000tons of aluminum profiles annually . Our largest extrusion machine is designed with a maximum extrusion force of 40 000ton ,and can make various shapes of curtain wall profiles and industrial profiles with a maximum diameter of 350mm . Six oxidation electrophoresis coating linges, made in Taiwan , produce aluminum profiles in silver ,black, golden , imitation steel , champagne or bronze . The Oxidized aluminum profiles have higher corrosion and abrasion resistance , a longer service life and will not fade . In hentec’s powder coating workshop, 4 powder spray coating lines use imported spray nozzles and a coationg powder that is eco-friendly , safe , and highly adhesive and which keeps color lasting longer . Our finish machining workshop is fully equipped with PRATIC machining centers , Wegoma cutting machines , bending machines , punching machining , and milling machines . Our experienced technical staff carry out each step of the production process . In strict accordance with industrial standards to guarantee the precision and quality of our finished products . Hentec’s main products are CNC-machined profiles , industrial fan blades , aluminum heat sinks ,aluminum assembly line, electromechanical parts, and solar panel frames . 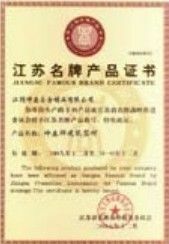 In 2004 "THE RECOGNIZED BRAND OF THE BUILDING INDUSTRY MATERIAL MARKET"
In 2006 "CERTIFICATE FOR PRODUCT EXEMPTION FROM QUALITY SURVEILIANCE INSPECTION " and "ISO9001"
In 2009 "ADVANCED COMPANY "
In 2009 "JIANGSU FAMOUS BRAND CERTIFICAT "
In 2009 "CERTIFICATE FOR CREDIBLE PRODUCT OF QUALITY IN JIANGSU PROVINCE"
In 2012, Established the business relation ship with Panasonic , LG . In 2017 , Developed the new products of baseboard heaters . In 2018 , Cooperate with the world's largest Heater Manufacturers , and supply the Aluminum Shells for them .Won a good reputation ! 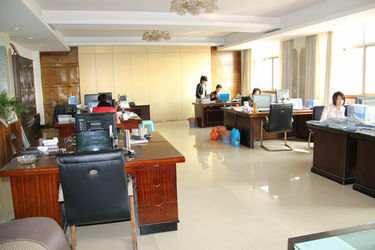 In 2019 , We will confidence to develope oversea distributor , to expand market for win-win benefits . 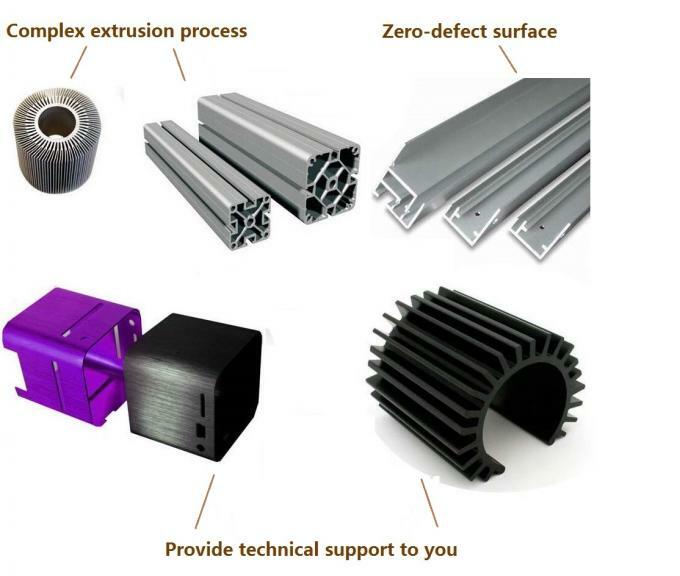 Hentec Industry Company is able to provide high quality aluminum extrusions with a full range of epecifications . 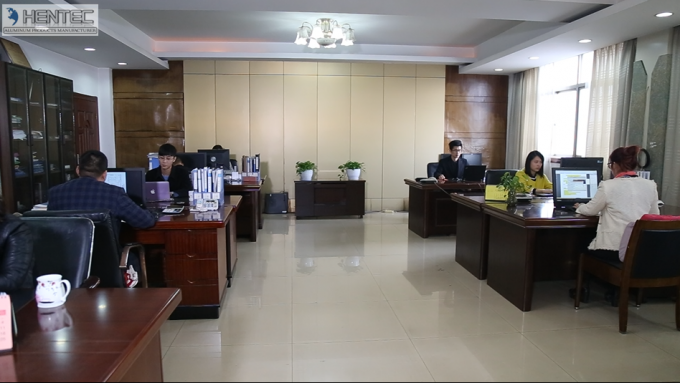 We have a powerful design team possess an outstanding ability for innovation , committing to research and development of complex aluminum extrusions and providnig our customers with technical support . 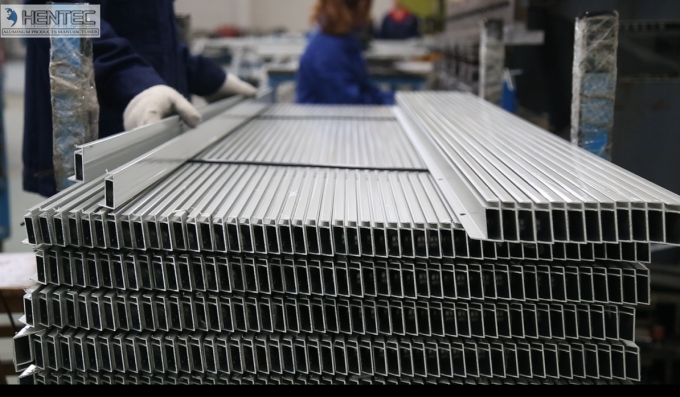 We mainly do extrusion and fine finishing of aluminum profiles , achieving a series of processes from sampling to extrusion according to customer specified specifications . We will give a reasonable proposal according to customer's drawing ,helping customers effectively control the cost of the product under the premise of ensuring product performance . Our professional and experienced team porvide the quick response and service to our customers . Our Declaration Slogan is : To do the most ,the show the best !